Addiction typically starts in adolescence. Among adults in treatment for opioid addiction, one-third started using opioids before age 18, and two-thirds started before age 25, according to the report by Boston Medical Center researchers. Young people addicted to opioids rarely receive medication for their condition, losing an opportunity for early action against a deadly, lifelong illness, according to a national study published Monday. Among people age 13 to 25, only one out of every four diagnosed with opioid addiction received buprenorphine or naltrexone, medications that can prevent a return to drug use, according to the study, conducted by Boston Medical Center researchers. The younger the person is, the greater the gap: Among 16- and 17-year-olds, only one in 10 received medication. Hispanic, black, and female patients were significantly less likely than others to be prescribed the drugs. The researchers examined millions of health insurance claims from 2001 to 2014 to see how many young people diagnosed with opioid addiction received a prescription for the drugs, commonly known by their brand names, Suboxone and Vivitrol, within six months. The researchers described their study, published in the journal JAMA Pediatrics, as the first comprehensive national look at buprenorphine and naltrexone prescriptions among youths. 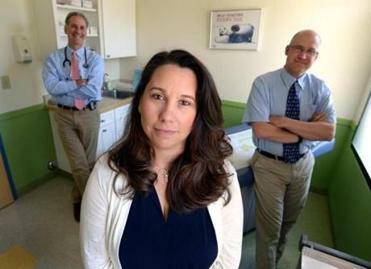 Wareham Pediatrics provides counseling and Suboxone prescriptions in a unique project that doctors hope others will emulate. “We need to be delivering effective medications earlier in the life course,” said Dr. Scott Hadland, a pediatrician and addiction specialist at Boston Medical Center who led the study. Addiction typically starts in adolescence. Among adults in treatment for opioid addiction, one-third started using opioids before age 18, and two-thirds started before age 25, according to the report. Unlike methadone, buprenorphine and naltrexone can be offered in primary care offices. In an accompanying editorial, Brendan Saloner and colleagues at the Johns Hopkins Bloomberg School of Public Health identified several obstacles for young people. Few pediatricians have training in addiction medicine and few have obtained the federal waiver required before prescribing buprenorphine, they wrote. Also, many health insurers require higher co-payments for buprenorphine. Misinformation about medication treatment for addiction is also prevalent. “The discourse surrounding ‘opioid substitution’ has created a misconception among both patients and prescribers that medications simply ‘substitute one addiction for another’ rather than treating an underlying disorder,” Saloner wrote. In fact, the medications could help young people complete school, get jobs, and improve family relationships, the editorial argued. A recent study among young people covered by government programs found a similar trend, . The medications “really can be and should be delivered in the primary care setting,” said Gonzalez, a pediatrician specializing in addiction medicine at the University of Minnesota Medical School. Pediatricians frequently prescribe other complex drugs, such as antidepressants, he noted. “The worry level is a little strange to me. 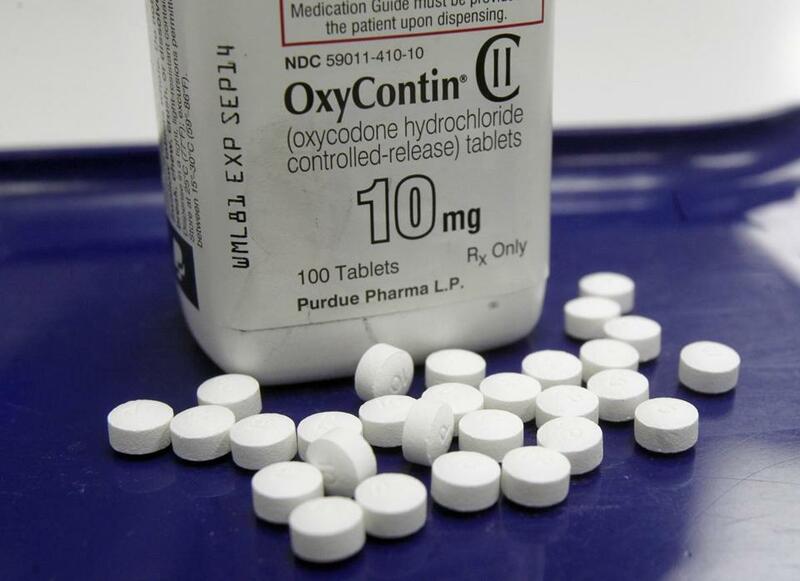 Especially since a lot of practices don’t have trouble giving oxycodone,” Gonzalez said. He pointed to a weakness in the study: It was unable to determine the severity of patients’ addiction. Some may not have received the medications because their illness was not severe enough to warrant a prescription. The study examined medical claims for the 9.7 million people age 13 to 25 whose claims were processed by Optum, a subsidiary of UnitedHealthcare, between Jan. 1, 2001 and June 30, 2014. It did not include people enrolled in other insurance companies or covered by government programs such as Medicaid. Of the 9.7 million, 20,882 were diagnosed with “opioid use disorder,” a diagnosis that increased sixfold over the years studied. Of the patients diagnosed with opioid addiction, 26.8 percent received a prescription for buprenorphine or naltrexone within six months. The younger the patient, the less likely to receive medication, with prescriptions going to 1.4 percent of 13- to 15-year-olds, 9.7 percent of 16- and 17-year-olds, and 22 percent of 18- to 20-year-olds. Girls and young women were 21 percent less likely than males to receive the medications. Blacks were 42 percent less likely and Hispanics 17 percent less likely. Asked about those disparities, Hadland said, “I worry that provider bias plays a role here.” Additionally, he said, even though all the patients studied had health insurance, they may not have had equal access to health care providers. To the researchers’ surprise, youngsters in rural areas were no less likely to receive the medications than those in metropolitan areas. The research was funded initially by the Department of Population Medicine at Harvard Medical School and later by Boston Medical Center. The Boston Medical Center research coincides with an effort by Boston Children’s Hospital to embed addiction treatment programs within primary-care pediatric offices.